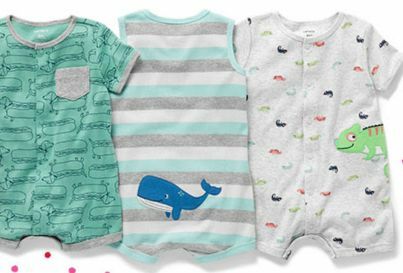 Today only, get free shipping on any order from Carter’s! 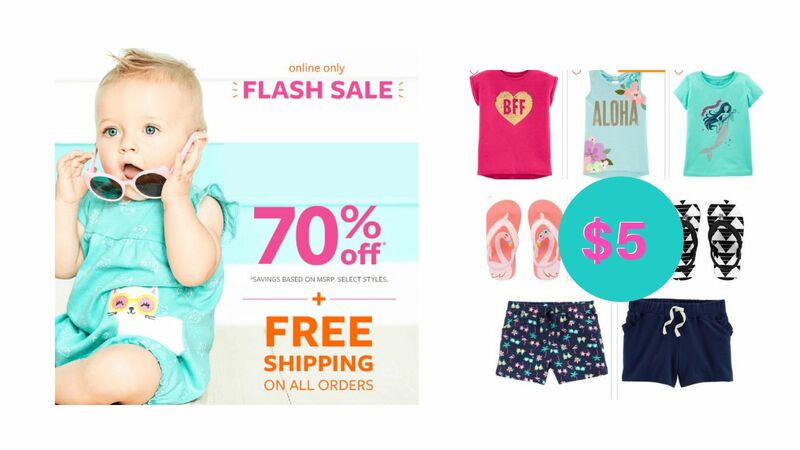 Plus take advantage of a flash sale they are running on Rompers & Pajamas, and big kid summer gear. 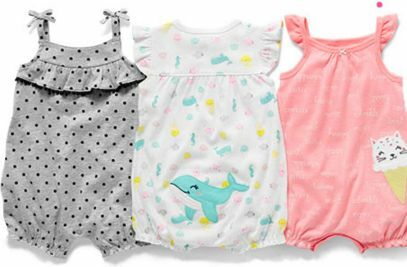 Get 70% of one-piece Rompers and 50-60% off 1-4 piece Pajamas, plus a number of other door busters for $5! Whether you are stocking up for gifts or getting things they need for summer this is a great sale to do it! Big Kids Doorbuster Deals starting at $5. 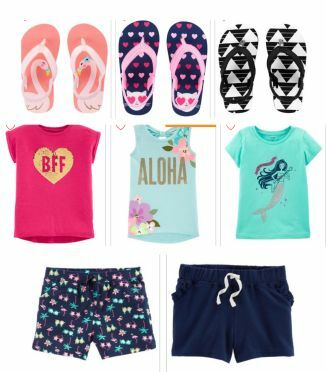 Shirts, shorts, flip flops, skirts and more! 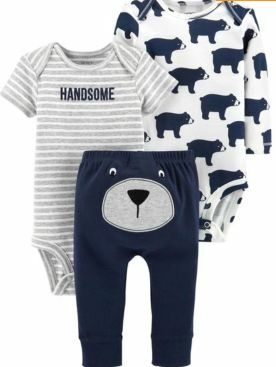 Offers all end tonight, 4/15.